When you place an order, we immediately send you at least one email from info@englishclub.com. If you do not see our email, please check your spam box. If you have ANY questions, please email us at info@englishclub.com. We will always be happy to help. 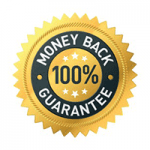 All our products come with a 100% 60-day Money-Back Guarantee. We guarantee to refund your payment in full if you request a refund anytime within 60 days. No questions asked! And you don’t even have to return your purchase (this applies to all products). To request a refund, simply write to info@englishclub.com. If you have any trouble downloading an ebook, please email us at info@englishclub.com. We will very quickly send you your ebook as an email attachment. Our ebooks are in the universal .PDF format, which you can read on all platforms. 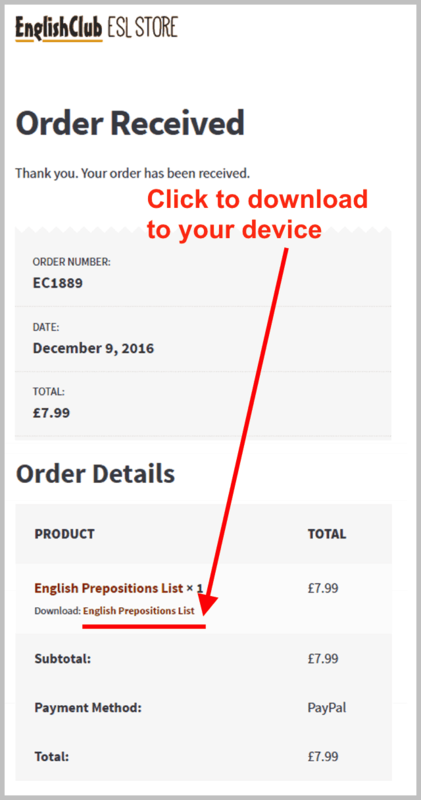 You can also easily transfer our ebooks to another device, for example from your PC to your iPad. If you ever lose your ebook, please email us and we will help. You receive Pronunciation Power by downloading from a link that we send you in an email. We send these emails immediately after you place your order. After you download Pronunciation Power you can immediately install and run it in full mode. Within one business day you will receive an activation code by email. If you do not activate within 15 days the product will then run in demo mode until you do activate. Note that you can activate Pronunciation Power on up to two different computers and we will always help if you run into trouble (for example, a new computer or disk problem). 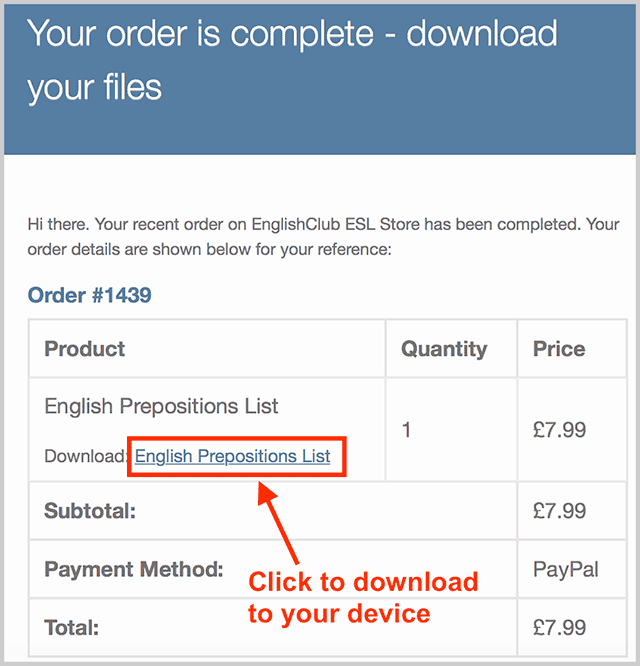 If you have any trouble downloading Pronunciation Power, please email us at info@englishclub.com. After you place an order for the Word Up game, you will receive an immediate email confirming your order. Your game will be packaged and shipped within one business day, and you will receive another email to confirm this. Depending on where you live, your game will be despatched direct from the factory in Thailand or from North America. Shipping is by international AirMail. Please allow 7 – 21 days for delivery. Word up is an educational game, and in most countries payment of import tax or customs duty isn’t required. If this is the case in your country, your game will be delivered directly to your address as part of your regular mail delivery. However, if educational products do attract duty or import taxes in your country, you will receive a notification in the mail informing you that your game is being held at a particular post office or customs office. The notification will most likely instruct you to visit this post office or customs house to collect your game after paying the required amount. Please note that any such payments are not included in the purchase price and are the responsibility of the buyer. If you’re having your game sent to your school or company, you may like to inform the person who normally receives mail there that you’re expecting a package. You may also like to explain what he or she should do when the package arrives if you think it’s necessary.